For anyone who thinks LSD is just for Grateful Dead fans and after-school specials, have we ever got news for you. The Quaife LSD (Limited Slip Differential), found in the Ford Focus RS, will have you enjoying every trip — to the grocery store that is. A specially designed, top of the line aftermarket part meant to improve traction is now a part of the Focus RS package. Read on, and find out more about what it does and how it works. For those unfamiliar with the inner workings of their vehicle, the differential is a geared device that allows the outer wheel to rotate faster than the inner wheel during a turn, since the outer wheel has to travel further and faster than the inner wheel. This is known as an open differential, and while it makes it easier for a vehicle to turn, it isn’t without its drawbacks. However, without a differential, the inner wheel would rotate too quickly and cause extra wear to the tires and drivetrain. And that is where the Quaife LSD comes in. One of the biggest drawbacks with an open differential, is loss of traction during less than ideal conditions. When accelerating, an open differential supplies almost equivalent torque to each tire; but if one tire has less traction than the other, your tires will end up spinning and wasting energy. With the Quaife LSD, or Limited Slip Differential, there are two output shafts that will rotate at different speeds depending on how much traction the wheels have, providing greater control over acceleration. The Quaife LSD improves traction while minimizing the energy your car expends (which will save you gas money). It also provides exceptional traction, and minimal wheel spin. When combined with Ford’s Torque Vectoring Control, as it is on the Focus RS, it provides perhaps the best grip on the road in the market. This makes the Focus RS a truly versatile vehicle, especially for the heavily fluctuating Alberta weather. Dry ground, loose gravel, snow, ice, the Focus RS with Quaife LSD can handle it all, while channeling the Focus’ exceptional torque. If you are interested in learning more about differential, the Ford Focus RS, or it’s Quaife LSD, come by Team Ford and talk to a member of our friendly sales staff; if we don’t know the answer, we will figure it out for you.  Also, as a member of Go Auto, we have our own in-house financing branch, which can help you get behind the wheel of a brand new Focus RS no matter what your credit looks like.